Today, we welcome Kat Kennedy, local author of short stories, poetry, and novellas for the first of two guest blogs. 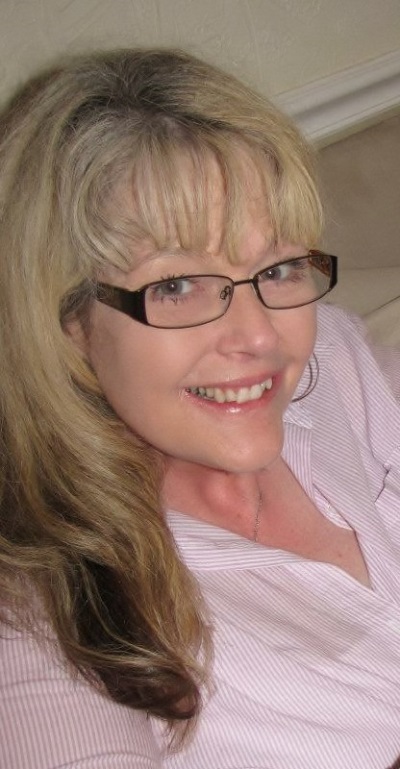 Kat was born in Dothan, Alabama and is a true Southern writer. She has won awards for her poetry through the Alabama State Poetry Society Association and the Gulf Coast Writers Organization. With a history of teaching English in middle and high school as well as college level, Kat's hobbies include research into old bluegrass and blues music as well as the history of the Chattahoochee Trace, a good deal of which she incorporates into her writing. She lives in Mobile, AL with her husband, Randy and her offbeat, crazy, sense of humor. 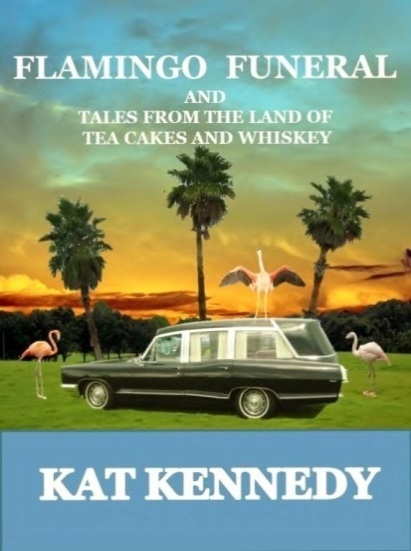 Flamingo Funeral began as an eight-page short story. I had just begun attending a local writing group and decided to bring it for critique. I enjoyed writing the story and felt it had good bones. I had always thought of it as a short story, but after the critique, the group seemed to reach the same conclusion: there is more to the story. So what was a short story became a novella. As far as character development, I draw upon people I grew up with, people I notice at grocery stores, people in doctor’s offices, people at restaurants. It is amazing what you can learn about human nature by starting a conversation in a waiting room. I have never met a Southerner who didn’t have a story to share. It’s a regional past time. I have also found music to be a great way of putting myself into a particular setting. It helps to remind me of childhood stories I had forgotten. I don’t write family stories verbatim, but use old family stories as a springboard. Flamingo Funeral was one of the most fun pieces I have ever written. The Uncle Gus character gave me the freedom to get into the theme of family loyalty – what Faulkner called the “pull of blood.” People will do the craziest things in the name of family because that is what’s expected of them. Couple that with the mystique of the South, its history, music, and food and you’ve got the perfect blend for a unique story. There is also a bond between all Southerners that perhaps we don’t even understand. I have never met a Southerner in any other part of the country when it didn’t feel like a family reunion. 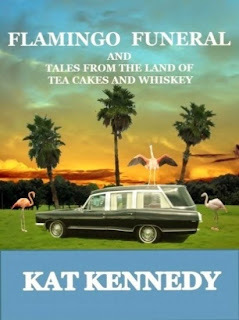 Flamingo Funeral and Tales from the Land of Tea Cakes and Whiskey includes the novella and six short stories. Flamingo Funeral information to whet your appetite for Kat's next post: What drives family loyalty past the point of common sense? When Uncle Gus dies suddenly under dubious circumstances, his family is left with more than just a funeral to arrange. Gus has left a secret will and a family legacy so dysfunctional that the thought of refusing his wishes, even from the grave, is not once considered.